Military Life To Boss Mom Life With Danielle Roberts. In this episode of the Boss Mom podcast, Dana chats with Danielle Roberts about her transition from her life in the Navy to becoming a work at home mom. Affiliate links present. Danielle’s journey and transition to military life into civilian life and how her business started. How Danielle decided what services to offer in her VA business. The power of a business name. 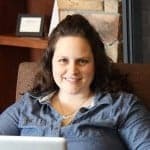 How Danielle manages her business as a work at home mom with a 4 year old, 2 year old, and infant. Danielle’s secret to managing overwhelm. Danielle and Dana gush about their adorable kids. As the owner of Legacy Creative Company, I am a proactive virtual assistant, who serves small businesses and busy women. It is my desire to see you have more hours in your day to purse your business goals and make money, while I take on your administrative and social media tasks.I am the wife of Lucas, and a work at home mom of three, ages 4, 2 and 6 months. Community and intimate relationships bring fire to my soul. I am an avid fan of reading and time with my best friend, my sister. I currently have openings for virtual assistant work and I would love to set up a date for a free 15-minute consultation to see how I can help you. calendly.com/legacycreativeco. We would LOVE it if you’d leave a podcast rating or review on iTunes. We also know it can be kind of tricky to figure out. Here are a few step by step instructions on how to leave an iTunes rating or review for a podcast from your iPhone or iPad. We love hearing from you guys! If you’ve got a question about today’s episode or want to leave us some inbox love, you can email us at hello@boss-mom-sg.local Or, you can always find Dana hanging out in the Boss Mom Facebook Community.